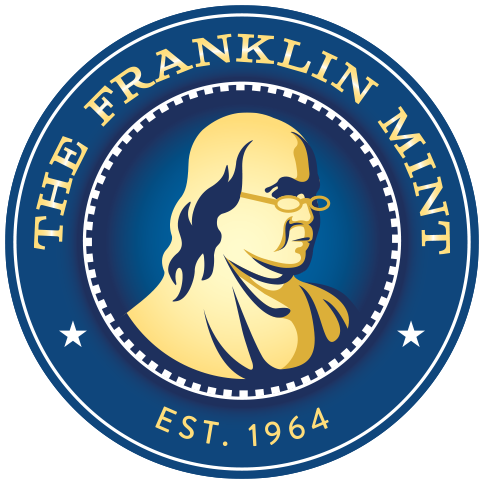 This collection features three classic U.S. coins that were issued by the U.S. Mint. The coins are widely sought-after for their timeless designs and compelling stories. These coins are seldom seem today. Each is a historic collector’s item, and together they make a collection of tremendous importance. In 1943, the Lincoln Penny was made in steel instead of copper as an emergency coin in World War II. Pennies were usually made in copper, but copper was needed for the war effort. This is a one-year-only coin, and it is the only steel coin in U.S. history. The Buffalo Nickel was designed by famous sculptor James Earle Fraser, who was known for his dramatic images of the American West. The remarkable design makes this the quintessential “American” coin and a unique celebration of “Wild West” culture and heritage. The obverse is a composite portrait of three Native American chiefs, while the reverse features a stunning image of a buffalo, Black Diamond, who was a star attraction at the New York Zoological Gardens. The buffalo was a symbol of the American West, and Black Diamond was still alive when the Buffalo Nickel was first minted. 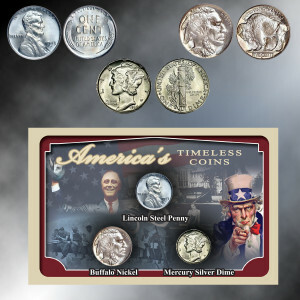 The Mercury Silver Dime is especially memorable because it was wrongly named. It features Liberty – not Mercury (the Roman messenger of the gods who wore wings on his sandals to represent the speed with which he delivered messages) – but the public called it a Mercury Dime.